Welcome to the Wornick Spiritwear collection! 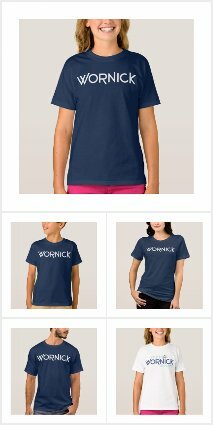 We're excited to announce that we now have customizable Wornick wear. Please visit our online store to purchase your favorite Wornick item. All apparel is available in multiple colors and styles; simply click on the logo option (white or blue) and customize your apparel using the "Style" and "Color" dropdown menus. When you visit the Wornick Spiritwear store through the above link and make a purchase, 17% of purchases go to Wornick to support its programs. Happy shopping! If you have any questions, please email us at wornickspiritwear@gmail.com.